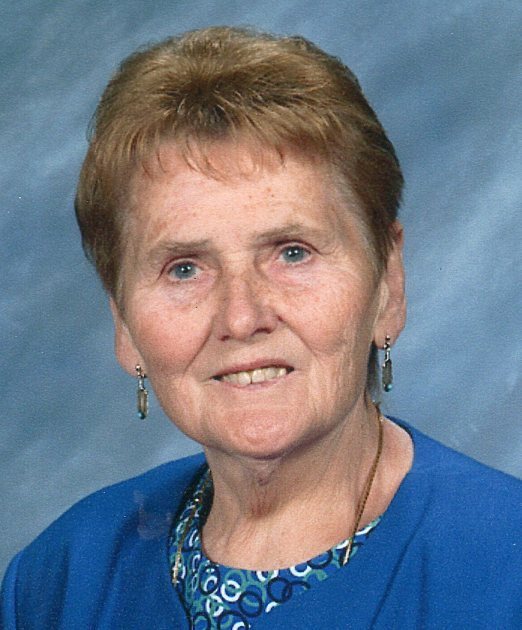 Johanna Gertrude Linsmayer, 84, of Fremont, OH passed away on Tuesday, December 5, 2017 at Parkview Regional Medical Center in Ft. Wayne, IN. She was born on November 21, 1933 in Nunchritz, Germany the daughter of Richard and Elizabeth (Apel) Hirschmann. Johanna married Herbert “Herbie” H. Linsmayer on May 3, 1958 at St. Mary’s Catholic Church in Clyde, OH and he preceded her in death on December 9, 1997. Johanna was a machine operator at Quikut Cutlery in Fremont for twenty-two years and retired in 1988. She was a member of Heritage Church and Sandusky County Senior Center. She enjoyed visiting people in the nursing homes, traveling and spending time with her family and grandchildren. She was preceded in death by her parents; husband, Herbert H. Linsmayer; daughter, Brigitte Linsmayer and sister, Mary Ann Hirschmann. Visitation: Monday, December 11, 2017 from 10 a.m. to 12 noon at Wonderly Horvath Hanes Funeral Home and Crematory, 425 E State St., Fremont, OH. Service: Monday, December 11, 2017; Noon at the funeral home.